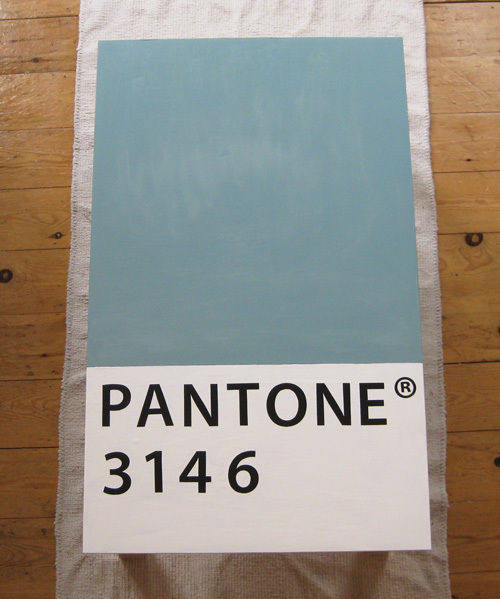 You've probably seen all the Pantone merchandise around - mugs, chairs, storage tins etc. 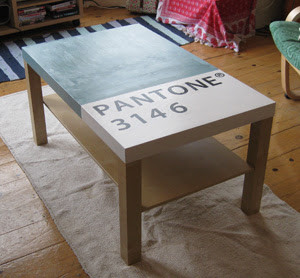 - and I'm sure everyone's over it, but not me, so I decided the other day to paint our Ikea coffee table as a Pantone chip. The colour reference isn't accurate, which I suppose in a way defeats the object, but I think that's ok.